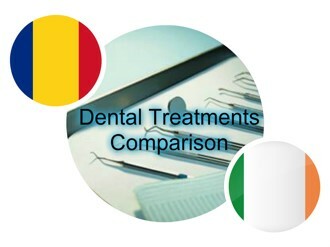 Dental treatments abroad are the perfect solution for many patients. Romania is a preferred destination for this purpose because of its lower costs compared to other countries in Europe and the rest of the world and also because Romanian dentists work with dedication and professionalism. 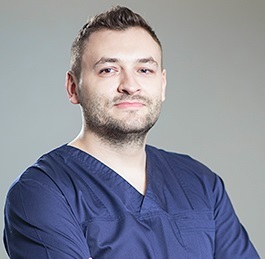 Our dentists in Bucharest are accustomed to treating foreign patients and as a dental patient from Ireland you will benefit from the highest standards of care for an affordable fee. Some of the most commonly requested dental treatments at our dental clinic include those related to cosmetic dentistry like teeth whitening or prophylactic treatments. Patients also request solutions for straightening their teeth or improving their appearance with porcelain veneers: a solution that is both less costly than implants and aesthetically pleasing. In Romania, the costs for a teeth whitening procedure will be at around 230 euros and those for professional cleaning (prophylactic treatments) at 30 euros. 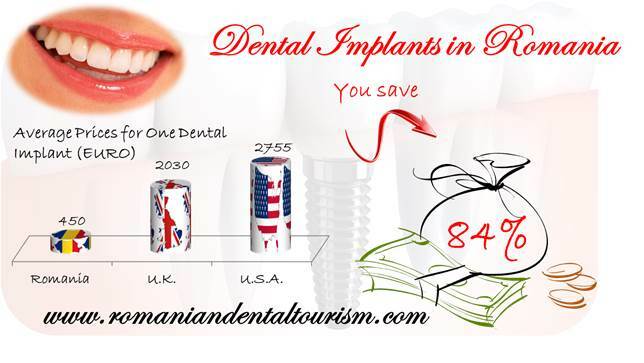 Dental implants are also one of the most requested procedures and in Romania they start at around 450 euros. Compared to the prices in our country, those in Ireland are more expensive for the same dental procedure: dental implants at approximately 1.500 euros and teeth whitening starting at at least 350 euros. The experts at our dental clinic in Bucharest can also help you with other procedures like dental surgery: extractions, sinus lift or root canal treatments. Our Irish patients will most likely appreciate the beauty of the Carpathian Mountains and the charm of our most popular medieval cities like Brasov or Sibiu. Romania has numerous options for accommodation from hostels to hotels or bead-and-breakfast places. The prices vary according to the time of year but in general they will start at around 40 euros for a night at a hotel in Bucharest or as little as 10 euros for a hostel. In other cities a night at a hotel will cost you around 40-50 euros. If you are interested in more information about the services provided by our dental clinic please do not hesitate to contact our dentists in Bucharest. One of our dentists will be happy to answer your questions regarding dental tourism in Romania.